The students that were in class for this lesson were all at VBS this year when I taught The Prodigal Son. We used this lesson more as a review. They love filling in the lapbooks and seeing the goodies that I hand out for this lesson. Today's visual is The Prodigal Son feeding the pigs. 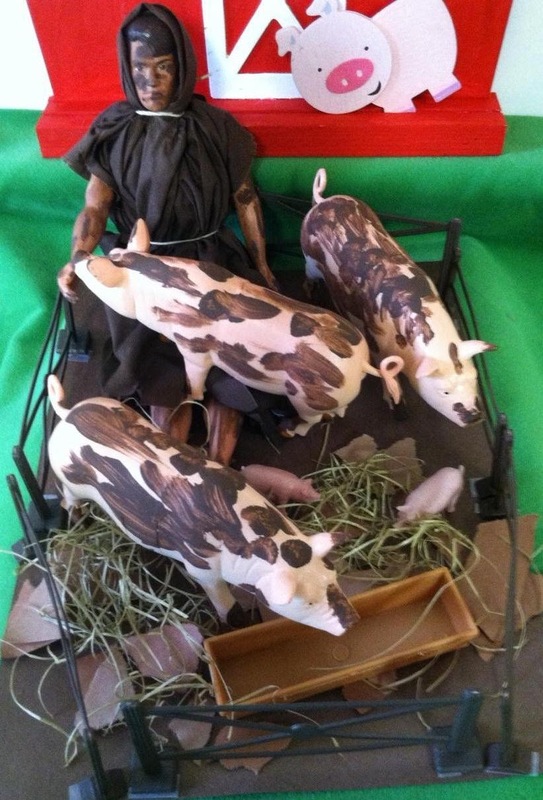 I covered Ken up with brown fabric, painted 'dirt' on him and the pigs, and then cut the fabric edges to look ragged. Today's lesson is a parable that Jesus told the people. A parable is an earthly story with a heavenly meaning. We can find the parable in Luke 15:11-32. There was a man that had 2 sons. The younger son told his father that he wanted his part of the inheritance. So the father divided what he had, and gave part to the son. A couple days later, the younger son packed up his belongings and traveled to a country far away. And he wasted what he had with extravagant living. He partied, spent time with women and wasted his money. After he had spent all the money that his father had given him, a severe famine came to the land. This means there was a food shortage, and now he doesn’t have money or food to take care of himself. He decided he would go home to his father and tell him: “Father, I have sinned against heaven and before you.” vs. 18 I’m not even worthy to be called your son! Make me one of your servants. BUT, the father told his servants to bring out the best robe and put it on him…put a ring on his hand…and sandals on his feet. He told them to bring the fatted calf and let us eat and be happy! My son was dead and now he is alive! He was lost and now he is found! But, the older son was in the field. 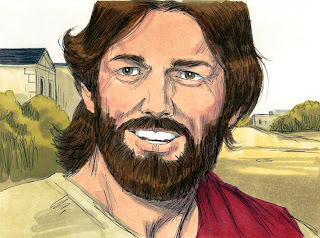 As he came to the house, heard the music and asked a servant what was going on. He told him that his brother has returned home. He is safe and sound and your father is having a celebration. Well, he was angry. He wouldn’t go in the house. So his father came out to see him and pleaded with him. He told his father that he has stayed home and helped him and his father hasn’t ever had a celebration for him and his friends! But as soon as my brother comes back, who has wasted all his money, now you serve a great meal for him. His father told him that yes, he was always there for him, and everything that he had, would be his. But it is right to be happy, because his brother was dead, and is now alive. He was lost and now he is found. In this parable, Jesus is telling us that when we are sinners and are doing things with our money and friends that God doesn’t like it's like we have left Him, like the son that left home. We are lost, but when you decide to change your life, you go back to the Father, Who is God in heaven. You ask for forgiveness of what you did wrong. God is always happy when we come back to Him! Jesus loves us, and, He will welcome us just like the son was welcomed back home by his father. The kids also brought up another point about friends, and it was a good opportunity to bring up picking the right friends. I am always looking for small pigs to hand out for this lesson. I found some at Target Dollar Spot for $1.00. The ones you see above were from Dollar Tree. I also give them the money bags, which they love. One of the things to learn from this parable is choosing our friends wisely. This worksheet is a discussion starter for friends. There are directions in the download for this Friendship Lift-the-Flap worksheet. Teacher should have these prepared before class. Read the scripture, and add thoughts under each flap. Some are to discuss being careful on having good friends and some are being the kind of friend that Jesus would want them to be. This can be used for other lessons, too. Click here to print it in color and black & white. 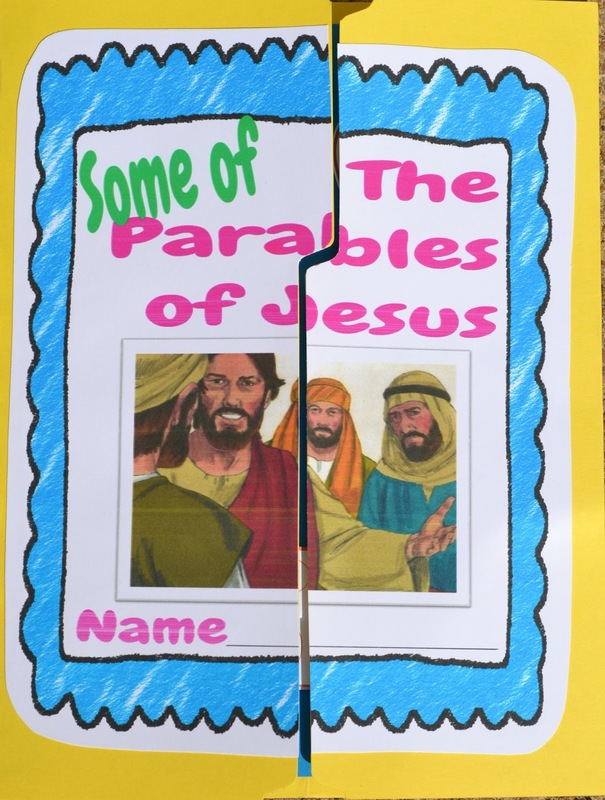 Click on the picture to see the Parables of Jesus lapbook printables. Today's Bible Verse: For this my son was dead and is alive again; he was lost and is found. And they began to be merry. Luke 15:24 (NKJV) Click on the picture to print the NKJV Bible Verse & Teacher's Visual. This story is so near my heart, I met my husband over 30 years ago acting out this parable at church! Thanks so much for sharing with the Thursday Blog hop. Hope you will join us at http://www.over50feeling40.com. Have a great weekend! Thanks for stopping by Pam! Thank you for sharing your story, that is so sweet! What a great memory! You are our FAV Pre-K-gr 6 level Bible blog!!! LOVE, LOVE, LOVE!!! While I have MUCH vintage children's Bible curriculum, yours is QUICK to print & easy to implement. Many thanks for ALL you do to further the Gospel of Christ! Thank you so much for the really nice comment! I appreciate it! Glad you stopped by! I always LOVE the visuals! I can just see the children excited to see what display you have for them each Sunday and I'm sure you let them touch and play with them too! HOW FUN!! Might want to try "oriental trading" for little pigs (just a thought)!! Bless you!! Thank you Jessica! 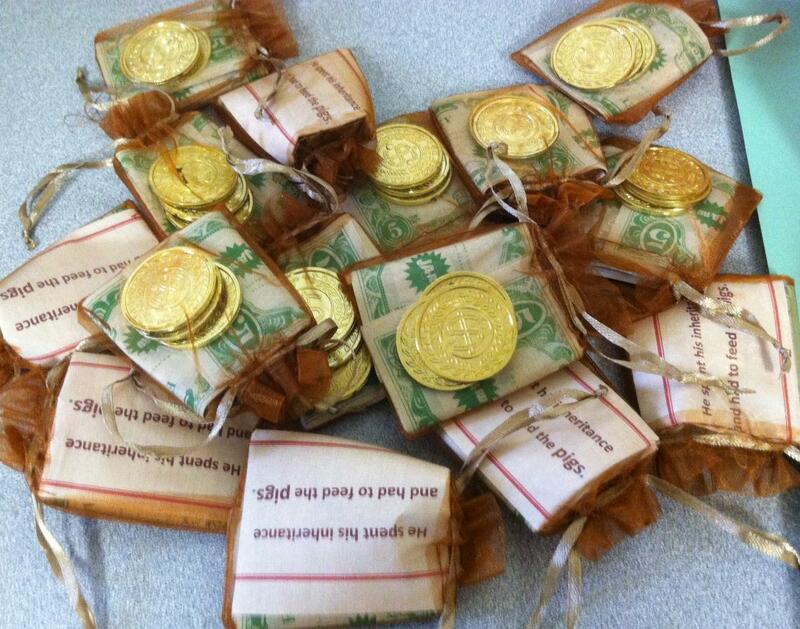 I purchase supplies at Oriental Trading, but we had Parables of Jesus for VBS this year, and they didn't have pigs, sheep or silver coins! The farm animals seem like a basic item. And, that is why I buy stuff for my next year's class when I see it! Thanks for stopping by! Can you translate the worksheet for the Prodigal Son also into Spanish??? Please!!! I'll be teaching this Wed night (20) and I appreciate the ideas you have shared with us . Next week we had Ruth ad Naomi and I have a stone grinder for the kids to use. But don't have much more on ideas on that lesson. HI Love your visuals! When I click on the Bible visual it connects me to a sight called "Distant Learning". Can you please help?